The Merchandising of Venice | Hello Cool World! The carnival masks are everywhere, from the street vendors to the stores. 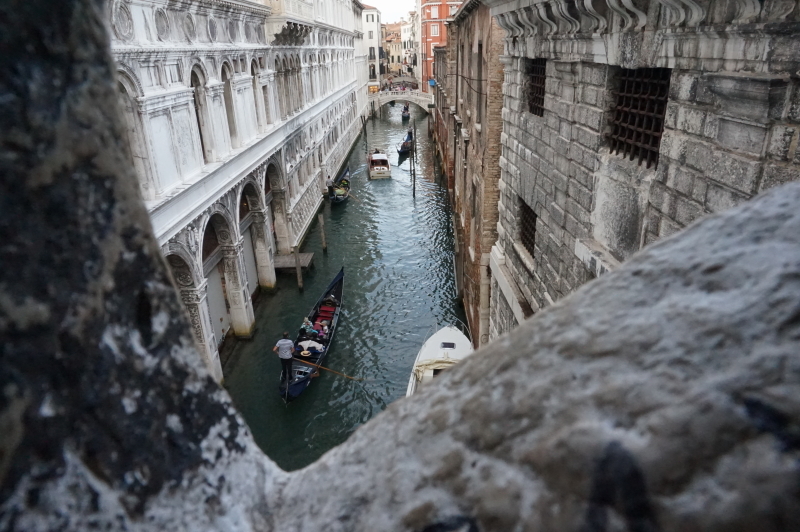 They are the enduring symbol of Venice, the playful city. Venice itself is an illusion, a fabulous city built on swamp lands and islands. 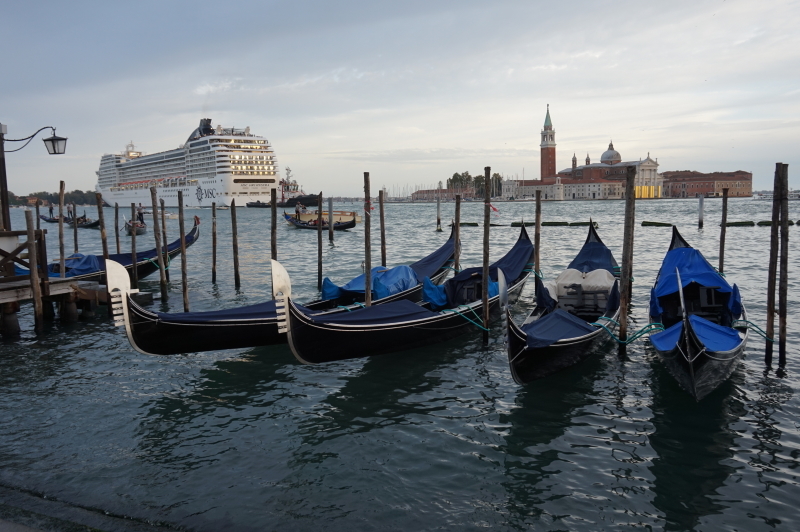 Even on a Monday in October, Venice is 90% tourists. 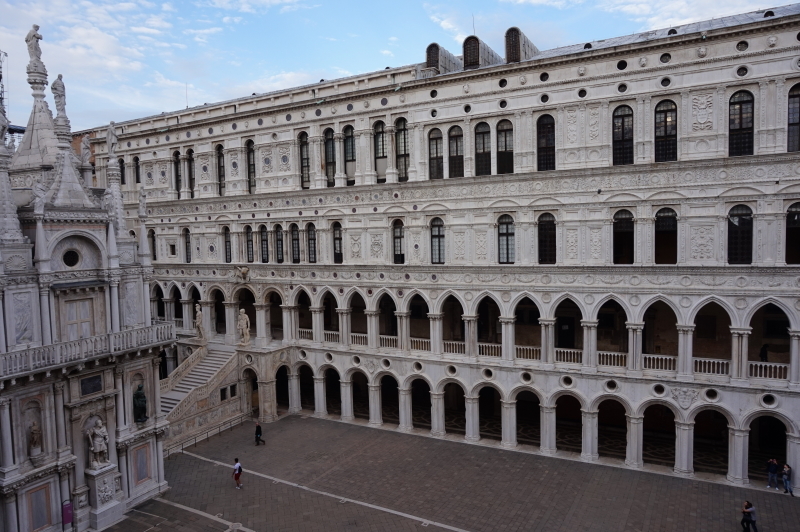 We spill out of the train station, run the gauntlet of hawkers, and find refuge in the less-traveled side streets as we make our way to the main attractions of the Doge’s Palace and St. Mark’s Basilica. Along the way, we stop at Alaska Gelateria to further Eva’s worldwide quest for the best ice cream. Carlo Pistacchi is a strong contender, using all natural ingredients to make a smooth and tasty gelato with strange flavours, including celery! Stay tuned for Eva’s next update. If Florence was the birthplace of the Renaissance, Venice became its playground. Venice was almost secular, governed by doges who represented the interests of the commercial elite. The city was not bound by artistic convention, and the paintings on display reflect a refreshing degree of irreverence. There are countless paintings of doges and the merchant guilds, and many are playful in their portrayal and composition. Felippo Zumiberti’s Il Doge Giovanni Corner I a banchet con ambassatori e senatori, is likely the first example of photo bombing in art, with a servant’s head poking in from the right. In other paintings, the formal poses are (how can you describe it?) quirky. Odd angles, strange compositions, almost a send-up of the formal religious art. In another scene, a knight rides into battle astride a cow. One side of the Doge’s Palace. 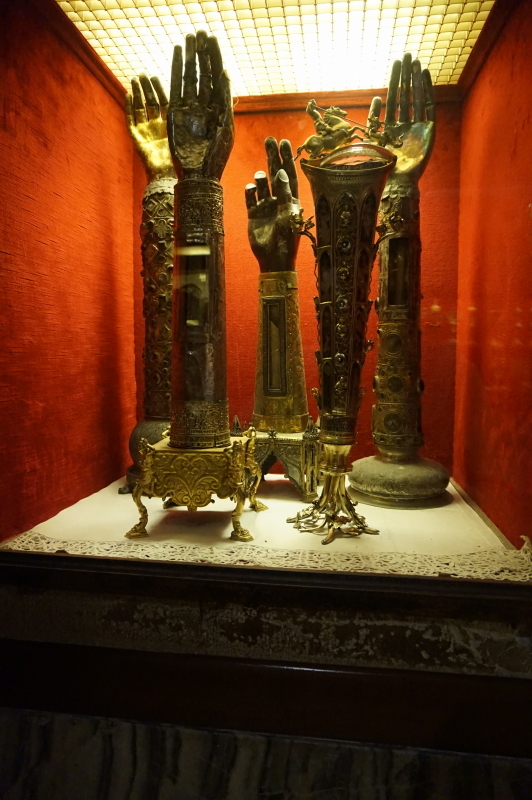 Even the Basilica gets in on the act, with a treasury of reliquaries that makes Ripley’s seem like a carny sideshow. The arm of St. George, yes the very arm that slew a mythical dragon, is on display. How can one doubt in the face of such relics? As the sun set, we caught the bus back to the train station. 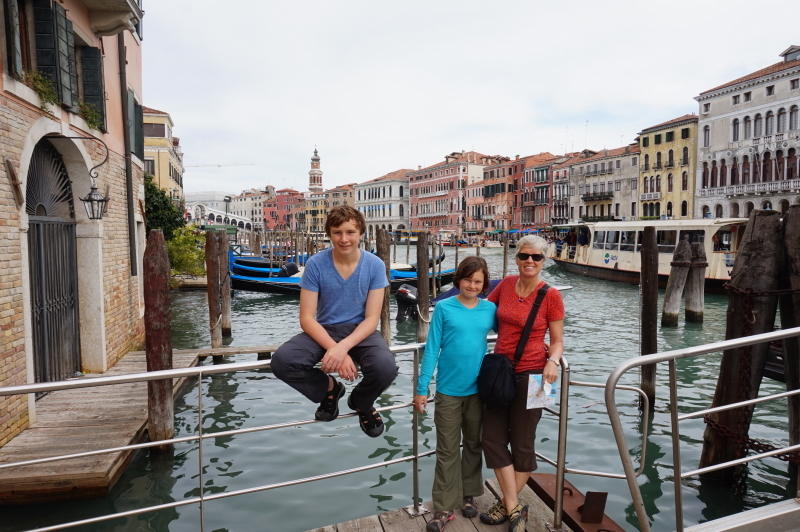 Naturally, in Venice, the bus is a boat, and it gives us a spectacular tour of the city canals for only a few euros. Fortunately we had ‘validated’ our tickets, unlike the poor British couple next to us who had to pay a 120 euro fine on the spot. 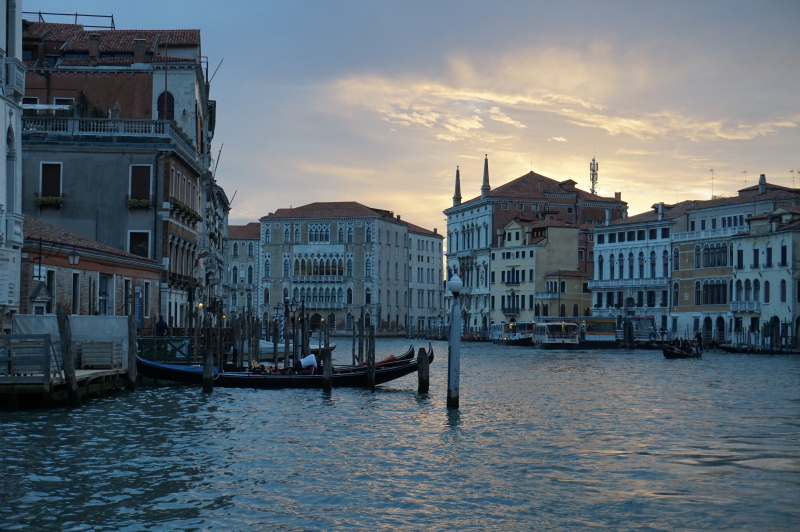 Very few Venetians live or work in Venice. 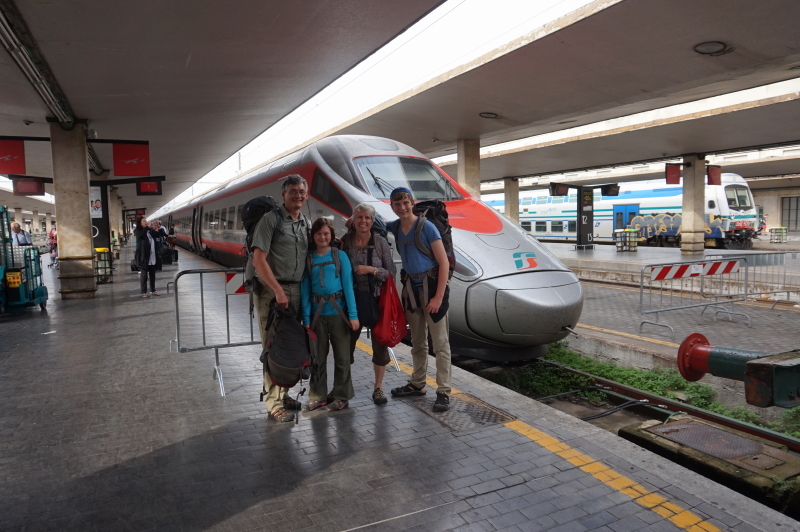 Our Servas hosts for Venice, Marco, Irene, and young Mosè, live in Padua, thirty minutes away by train. Marco’s parents, Sylvia and Sergio, also helped to host us, and we were enjoyed two fine meals with them. 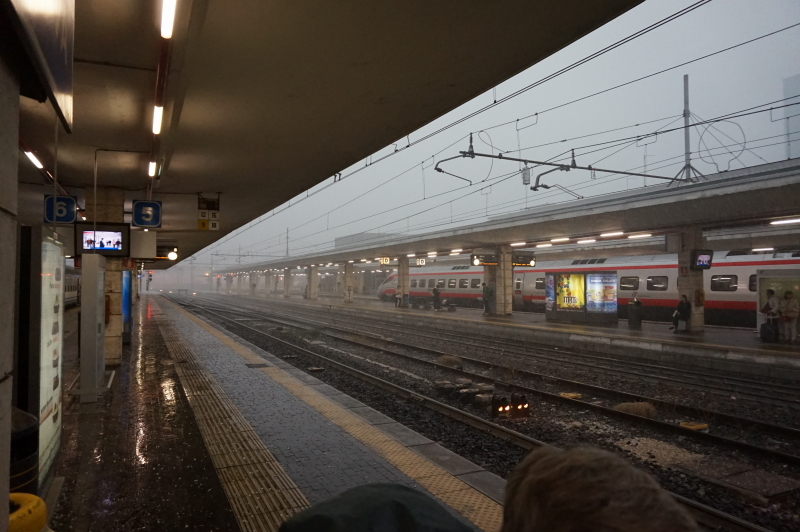 A day earlier, we had arrived at the train station in the middle of a hailstorm and downpour that flooded the station. 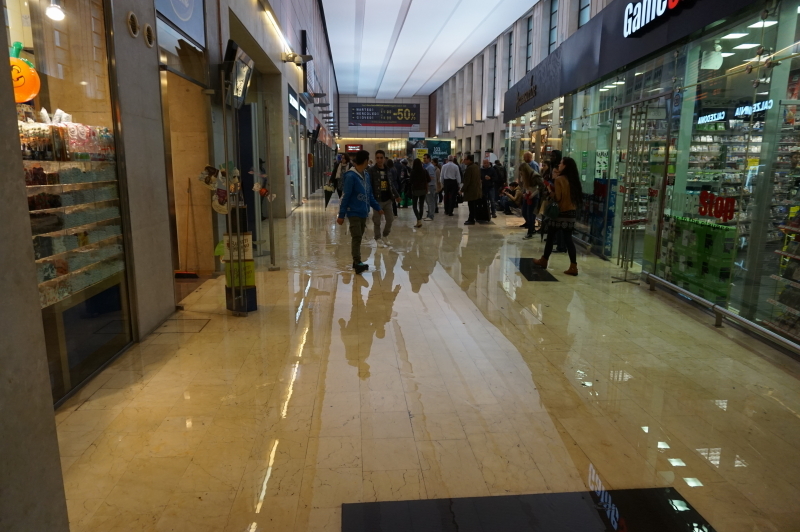 Is Venice sinking?, we wondered. The next day, we took a quick stroll around Padua before catching our high speed train to Florence. In Padua, there is no veneer. The daily reality is more evident. 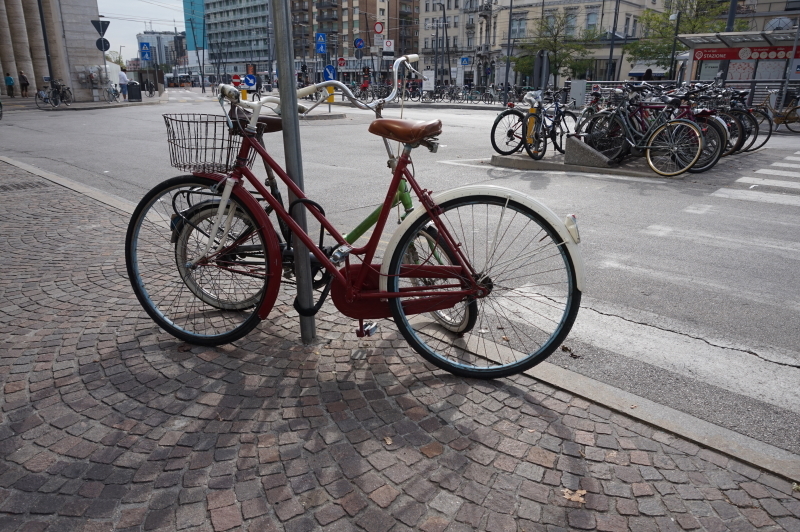 In Padua, most everyone has a bike. Not a flashy bike, just a functional bike that gets you from here to there. 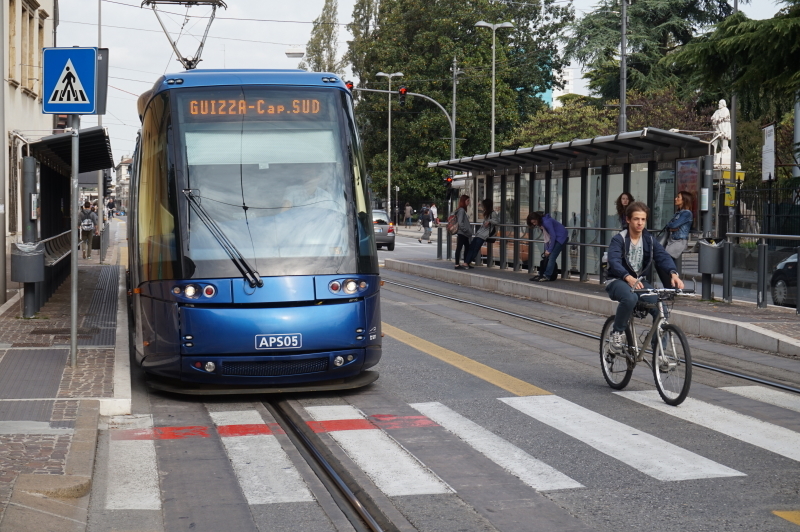 The town has a new, efficient rail transit system. Padua may live in the shadow of Venice, but it works. Venice! 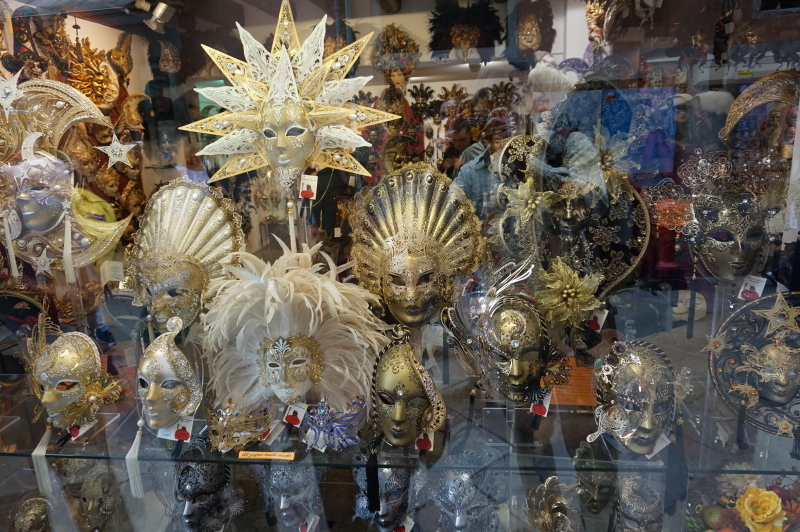 The first photo of the masks in the shop window was like a scene from a movie or from another time. Its hard to believe such a place is real. I guess that is what comes from building a city on a wetland! I’m enjoying reading about your travels. Keep the stories coming. They make good reading from my cozy chair in front of the fire in NB where winter has decided to come early.